Is it snowing in Beidahu ?¡Gracias! Beidahu is located in the Songhuahu Lake Nature Reserve, 50 km outside Ji Lin and is a growing resort. 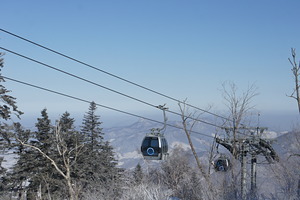 It has a ski season that runs from November to April. Beidahu has hosted the National Winter Sports Games and is very popular. 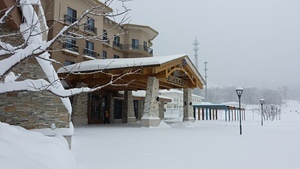 There is accommodation and restaurants at the resort. We would welcome any further information for our notes about Beidahu. Great skiing for beginners / intermediates with a gondola and several ski lifts working. Still some way to open up more of the mountain to provide longer runs. Very dry snow so after nightly grooming the runs are fantastic but a bit short. Club Med have just opened up and has excellent accommodation and food. Very few western folks there and very quiet runs unless on a Sunday but even then it's quiet compared to Australia or Japan.